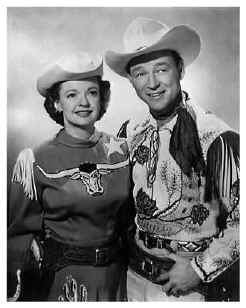 Apropos of this morning's pix, look at the cute shirt Dale Evans is sporting spanning her cute little bosom. A longhorn. To think. I do not think this little item was at the closing of the Flax Sale. K and I did about an hour at the Flax Sale leaving A at the Farmers' Market to participate in the Earth Day activities (and I quote--"it was filled with all sorts of trippy hippies..it was insane!" --not a vote of approval). K picked up a cute selection of things she paid for with her money--from a Neesh suit, a sweater, 1 tee and a Neesh buttondown (assymetrical, topstiching in a contrasting color etc). It was way picked over by noon...and they hadn't dropped the prices though there were black teeshirts for $1. at the door before the check out. We had lots of laughs and K throughly enjoyed the sale. She is a cutie. A played a bit of golf by himself this morning prior to our departure. He then arranged a meet up with a friend at the Farmers' Market. A. reported they were focusing mirrors on marshmallows and wood to show how to save energy by the heat generated to catch fire. He told us about a parade (much like the Grassroots Happiness Parade) that he was pressured to wear wings or a funny hat to participate. He was appalled by the invitation. Sounds like Ithaca on a good day...with Earth Day, Flax Sale, Birkenstock sale, and the high school music festival on the commons, plus the Friends of the Library gigunda book sale. I treated to Suicide sandwiches at Short Stop--which were consumed silently, worshipfully, and quickly. Impressive. The scene at Short Stop was busy and the food was flying. All the outside seats were packed so the outside buzz was nice. Then, off to Wegmans for milk, bread, and basics including all the terrific indian sauces we have been eating with chicken and our new most favorite, coriander chutney (jar consumed in less than two days!). It was fun. Then off to get grass seed for our dirt patches....and begin the work that will take the summer and my guess at least $100. worth of seed to make nice...but once it takes...its worth it. Am working on a new paper to do an illustration (derived from the Memento Mori Willow Tree) for a new wine label soon to be sold under the "Glimmerglass" label. I am working with the pentel and rotring pens on Classic Cream Canson Drawing paper which is pretty dreamy. No texture. Takes the ink nicely and things look nice and sharp. Labels need to be done in a week or so...as they are shooting for wine on shelves before the 4th of July. Hope to have this done today/tomorrow to move the design further. It was quite cool today (sweaters please!) --with hopefully equally delightful sleeping weather.